Game director James Ohlen for Star Wars: The Old Republic has addressed the double standard going on concerning the MMORPG label, and how it's almost treated as a dirty word. 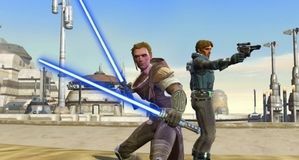 It's an "unfair characterisation" to say The Old Republic doesn't innovate and just 'copies others', says Ohlen. Other genres keep the same "tried and true" UI and mechanics after all. First-person shooters, real-time strategies - these have all kept the same formula going, just like adventure games, brawlers and sports. MMO isn't a "single game genre." "It's been a little bit of an unfair characterisation," said James Ohlen. "Because if you look at other game genres, if you look at a Battlefield or a Call of Duty or a Gears of War or even a Half-Life - those games use the same tried and true interface and the same tried and true game mechanics of the first-person shooter genre that's been around for 20 years." "If you look at real-time strategy games, they kept the same tried and true interface and the same tried and true mechanics that existed for 20 years. Same with adventure games, same with platformers, same with fighting games, sports games." "I don't know why the MMORPG genre is not considered to be a genre," Ohlen continued. "It could be that World of Warcraft has dominated for so long that people just think of it as just a single game genre." "But it is a genre, and we wanted to appeal to fans of that genre - we don't want to turn them away by making something that's radically different. And we wanted to take the lessons that have been developed in that genre over years and years and years and basically refine them, much like other companies do with other genres." "So, I don't know, it's just the way it is, but I don't see us as not being innovative. 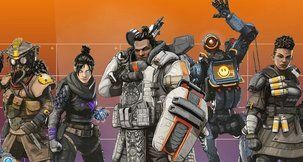 We're actually a lot more innovative within the MMO space than comparable games in other spaces like the first-person genre, the action genre - games like that." 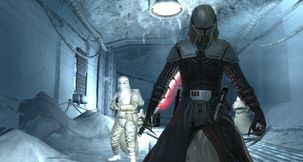 Game director Ohlen revealed it has been received "a little bit better" in the US than Europe thanks to the strong roots of the Star Wars brand. "We're very happy in the review scores; we've been getting basically 90s and 80s - the lowest score we have is an 80, on average we have a 90. It's been coming in about where we expected," he said. "The expectations on what the game was going to be for a lot of people was kind of different to what we were building. We were building essentially a classic MMO with BioWare storytelling set in the Star Wars universe. And there were a lot of people out there who wanted us to reinvent the universe and come up with a game system that had never been done before. And that was something we weren't doing, so it was going to be disappointing for those people." "We did succeed in creating a game that's very fun and addictive, and I think that's what's going to make this successful." "The people who are playing the game, the reception we're getting right now - the desire to resubscribe is exceptionally high, higher than we thought it would be. We thought it was going to be high, but it's very very good. So we're quite pleased." Metacritic is floating a healthy mid 80 score for the Star Wars MMO. User reviews on the score tallying site are lower, but BioWare is sceptical of their opinion. 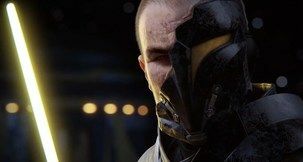 "Several of the designers were watching the Metacritic page when it finally came up and what happened was there is a community out there, and we don't know who they are - it could be a bunch of different people - who aren't really playing the game but have a vested interest in hating the game," noted Ohlen. "And we saw literally hundreds of 0/10s come up within the first couple of hours of Metacritic coming on. So it was people who weren't even playing the game basically putting on that they hated it." "There's nothing we can do about that, right?" Ohlen added. "We're a big target, we're a huge game, we have a lot of hype - we've been building up the hype for years. It's just kind of expected." "We knew that there was going to be people who wanted us to fail. But that's just the nature of the game. If you're going to build a huge game and try to go out to a lot of people, you're going to have people who just react poorly." The first major update to the newly launched MMO is already on the public test server. While Ohlen couldn't give specifics on subscription numbers he did tease they're moving upward. "I can't say specific numbers," he explained, "but we hit a million almost immediately and we've been growing since then. We've sold out in a lot of stores. We've obviously been having to put more copies into the channel." "I'd say we're still rocketing right now. Every day the numbers continue to grow - we have more people going into the game." Are you among those 'rocketing numbers'? 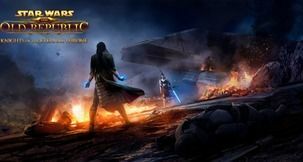 Check out our Star Wars: The Old Republic review. 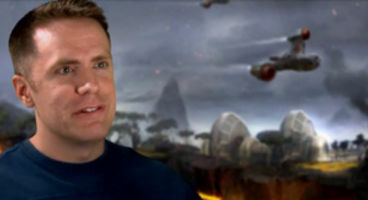 James Ohlen has worked as a lead designer for BioWare's Dragon Age, Knights of the Old Republic and Baldur's Gate.